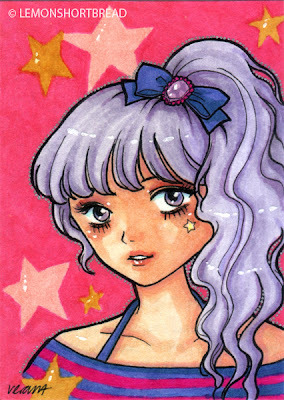 My newest ACEO card since Sept, featuring a 80s style girl. Pen and markers on cardstock. 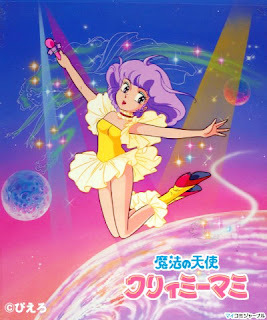 She's half-inspired by Jem and Creamy Mami (both 80s girly pop music cartoons), I've always wanted to do fanarts of them but never had. Love the shows as a kid. 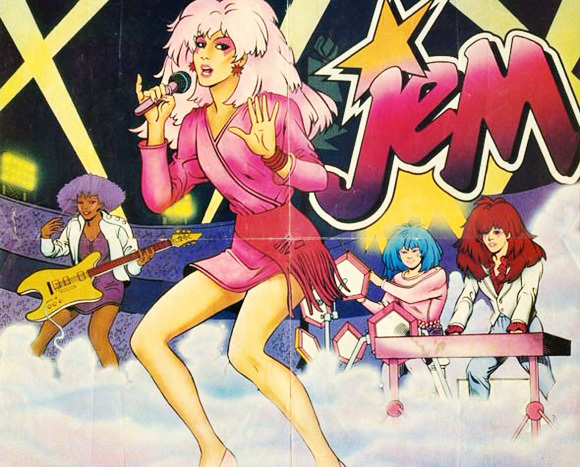 Jem is a little soap operaish, Creamy Mami is mostly cute romance. They are both magical transforming girls, one with magical earrings, one with a magical compact. Jem was the first doll I ever wanted, although in the end had to settle for a colouring book... wondered what happened to that. I also own a Creamy Mami colouring book. These are fab, i love the 80,s one it would make a fab rubber stamp!!! Just beautiful as Trish says!